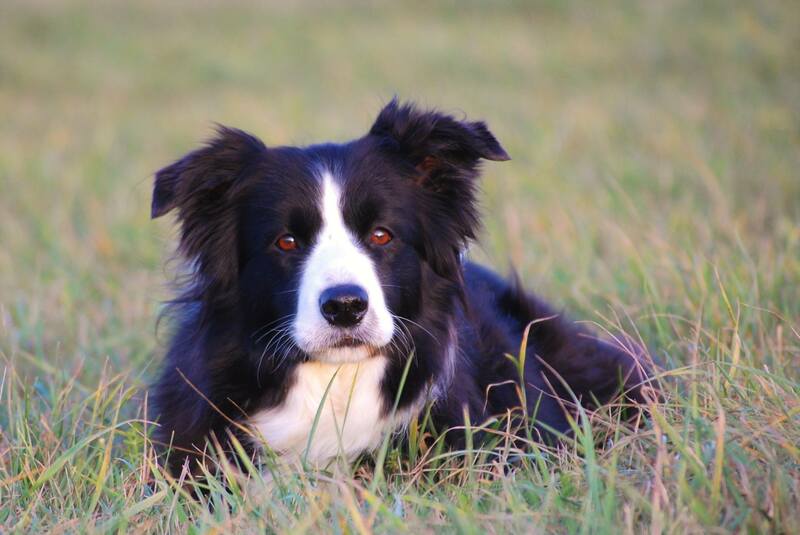 Crazy - Border Collie Kennel "Keen Workers"
Crazy promises what her name implies: she is a bit crazy and very spirited, but also a super friendly dog. 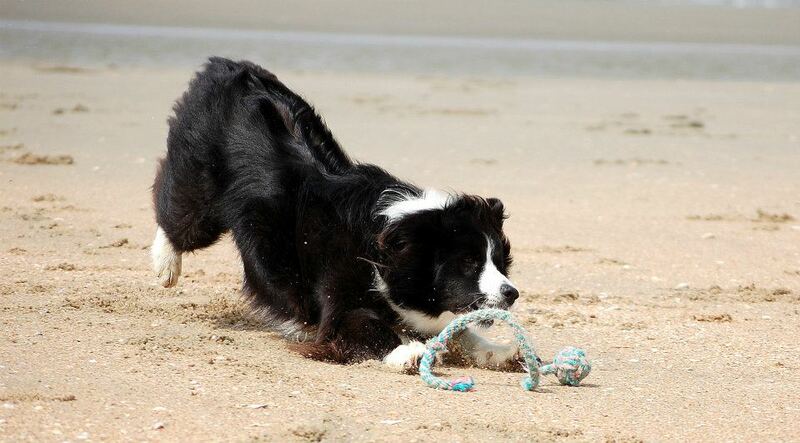 Crazys pleasures of life are for the most part Agility (especially watching), her ball and the work. 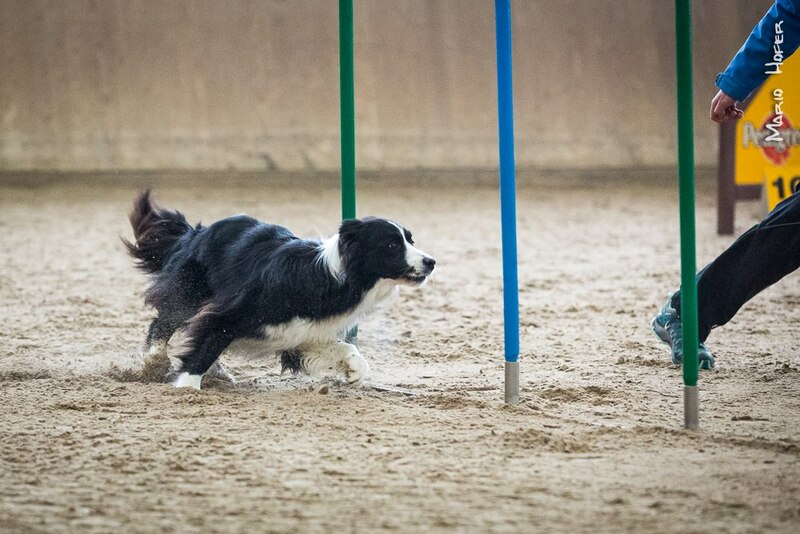 And of course - do not forget - "Vögele" (birds) :) She loves to think and then reproduce with full energy what she has learned. 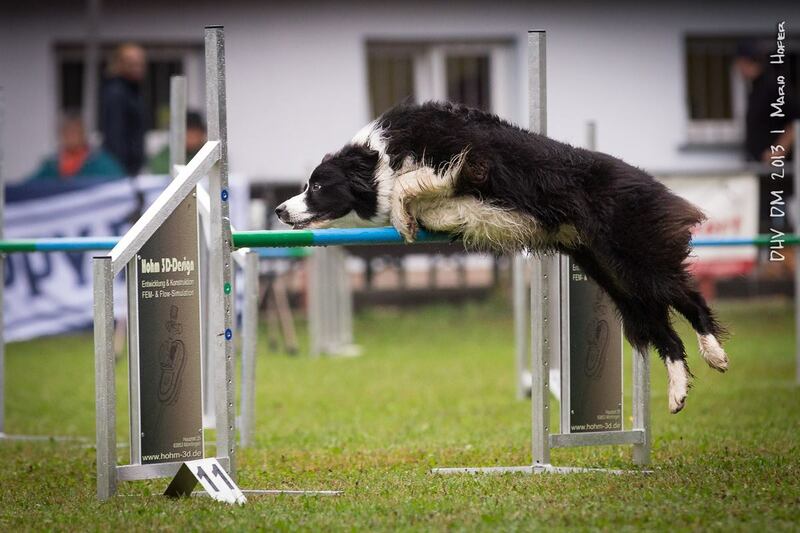 In Agility she is very easy to handle and does her best to make everything exactly like I wanted it from her. Although her basic speed is not that high like the speed of "mega quick" Borders and Malis, she always gives everything and she mostly has ideal line. 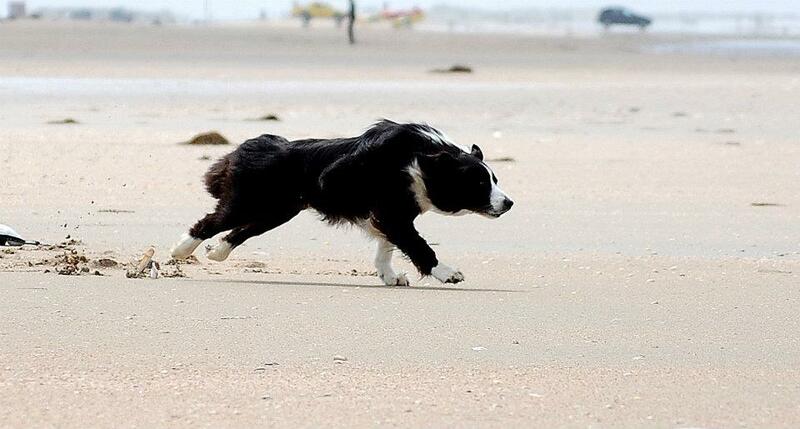 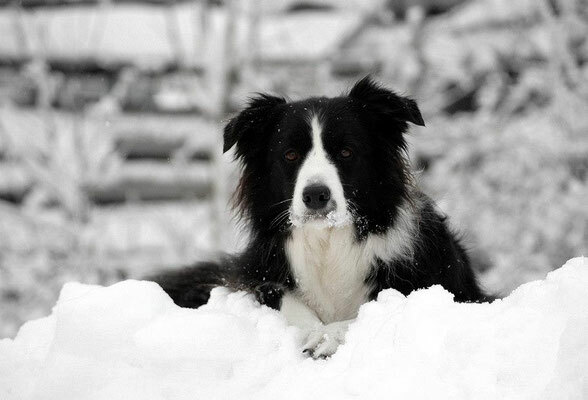 Crazy has an extremely small grade between genius and madness, which was not easy to handle for me as the owner of my first Border Collie. 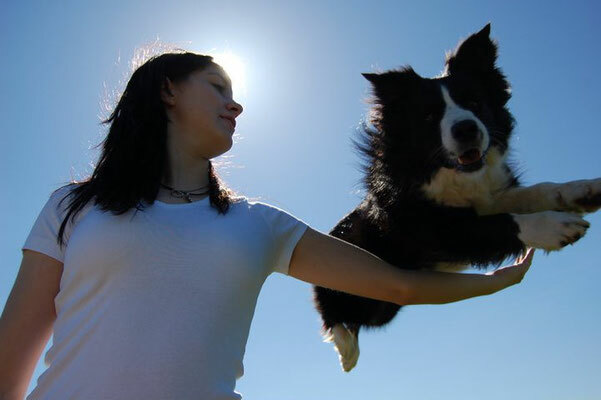 I can work with Crazy extremely accurate and she will read every wish from my lips. But in some situations, she falls into a kind of depression and at the beginning it was barely hard to bring her out of this low. 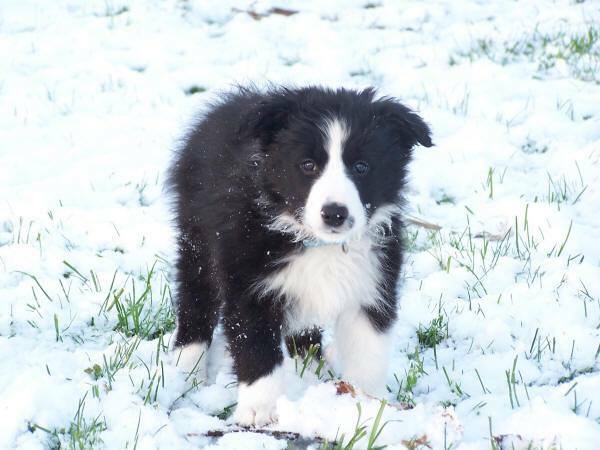 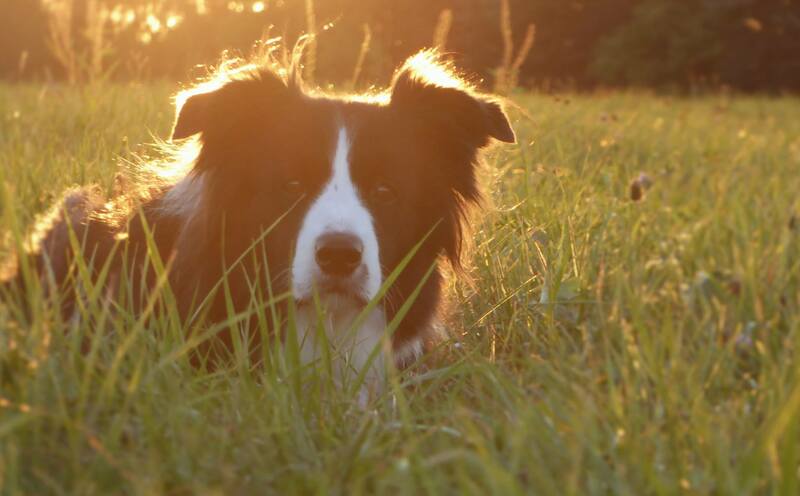 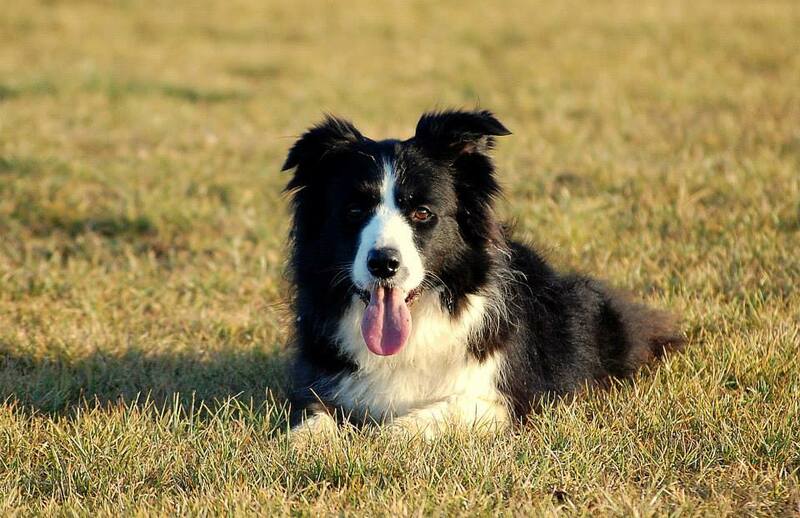 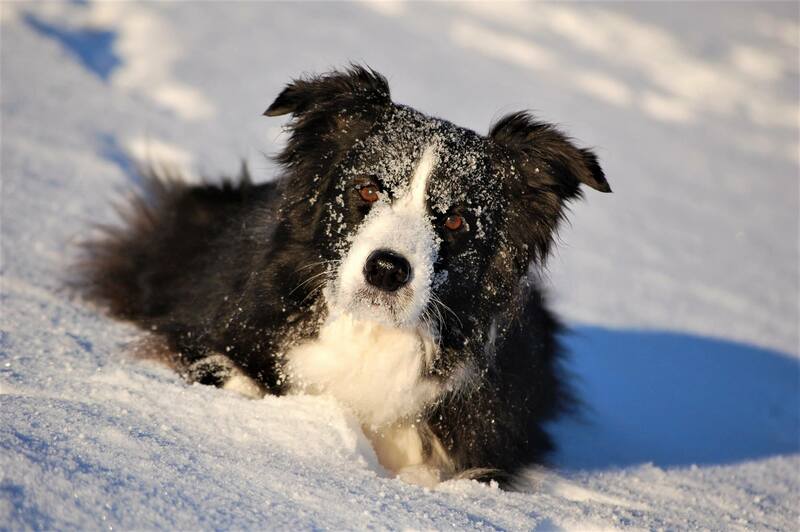 After some years of experience, I have learned quite a few tips and tricks to bring her out of this low, and up to now Crazy developed to a lovely, stunning dream Border Collie and I would never give her for all money in the world! 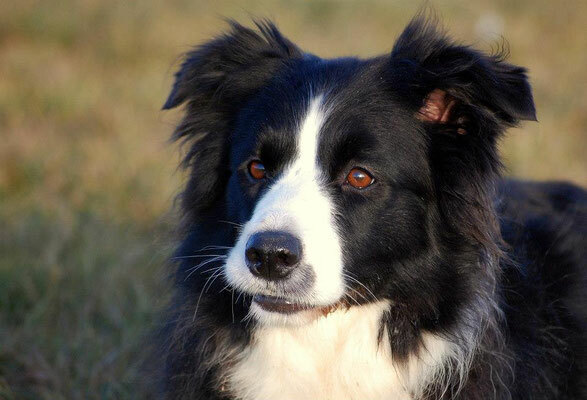 Now she is very cuddly (albeit with as little physical contact as possible) and is friendly to most people (except postmen) and loves to get stroked (although she do not admit it ;) ). She doesn't need other dogs at all and she can also show it very clearly if another dog goes on her nerves. These are mainly Aussies or other very loud dogs with less distance. 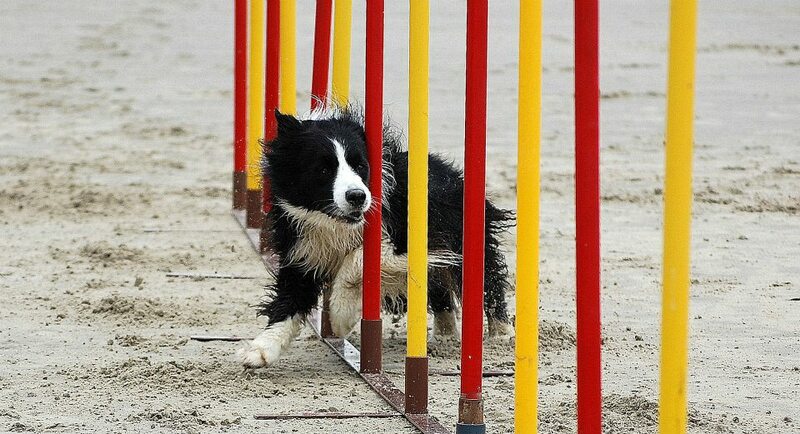 Despite her tendency she has herself under control and she knows what she can do and what is not okay. 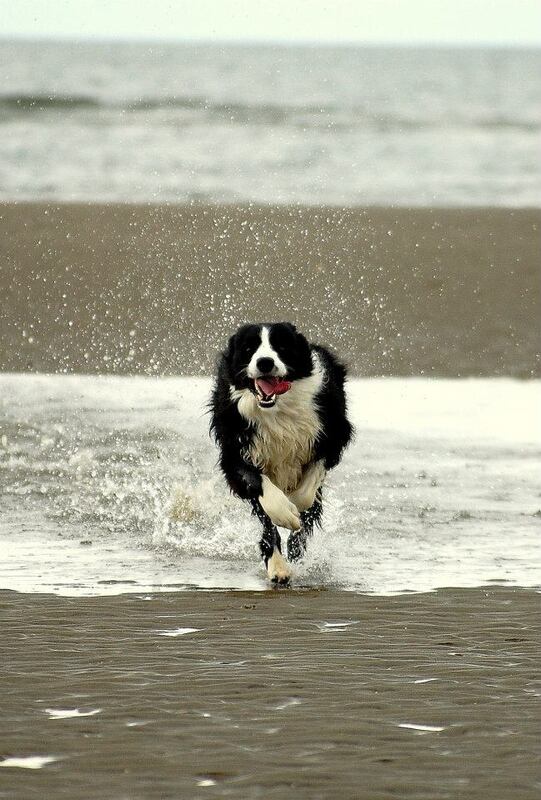 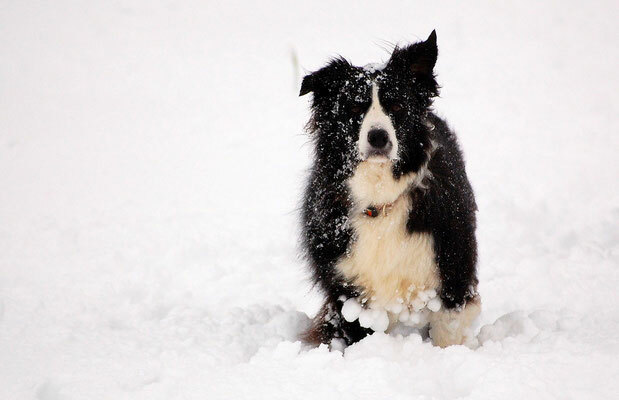 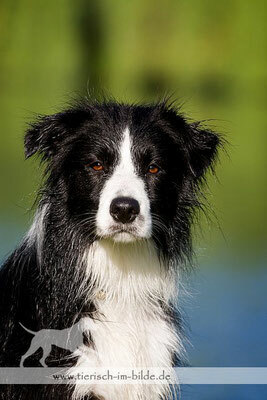 Unlike many other Border Collies, Crazys greatest joy in life are fireworks, gunshots or thunder. 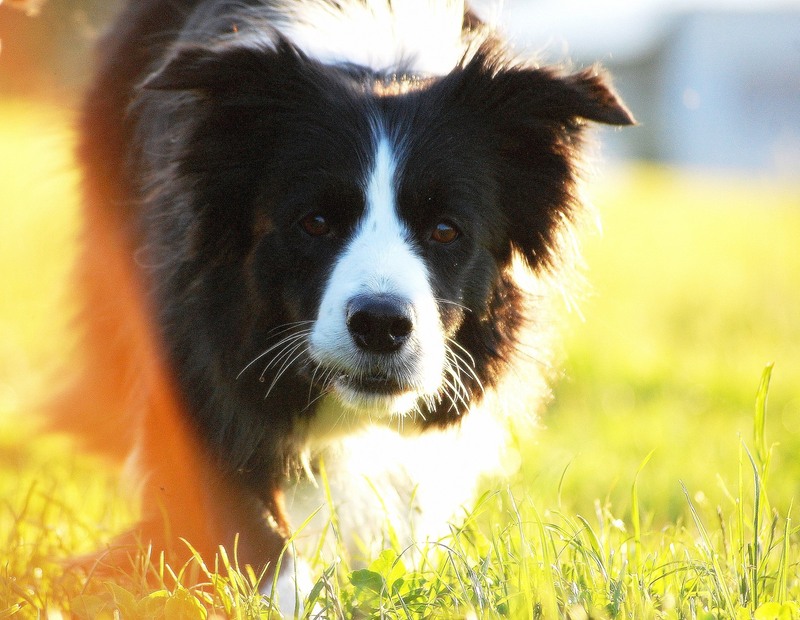 In these cases, she is unstoppable, barking in the garden while running her rounds and she is the happiest dog in the world. 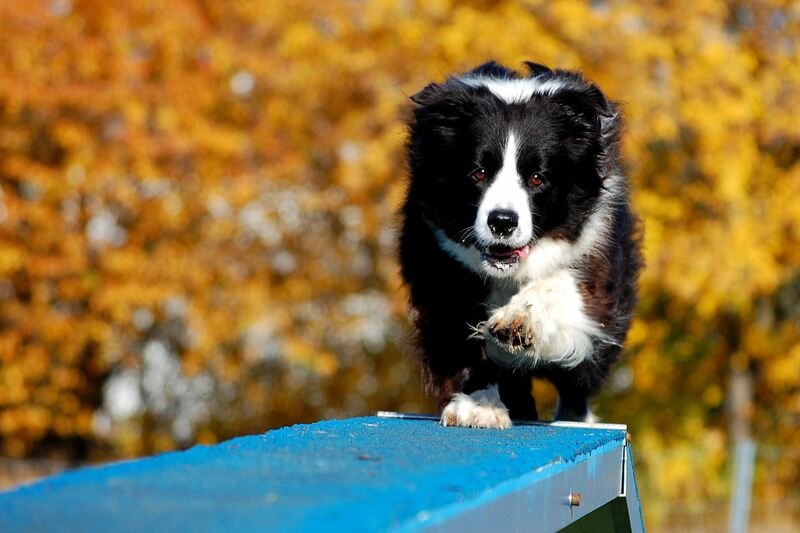 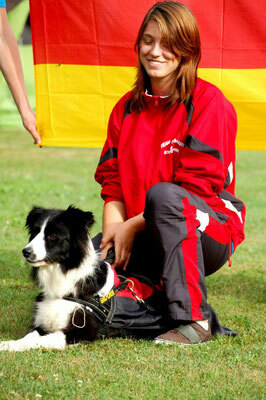 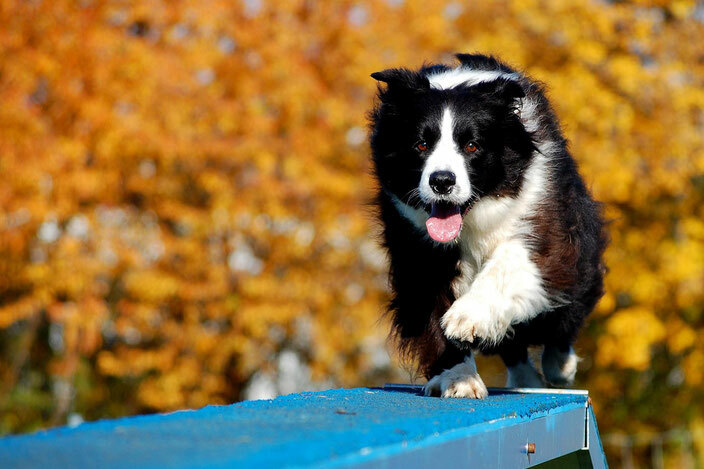 When she was a young dog, I did not even know if I would rather do "Turnierhundesport" or Agility with her. I decided just to do both - and it worked, but the Agility part outweighed very strong. 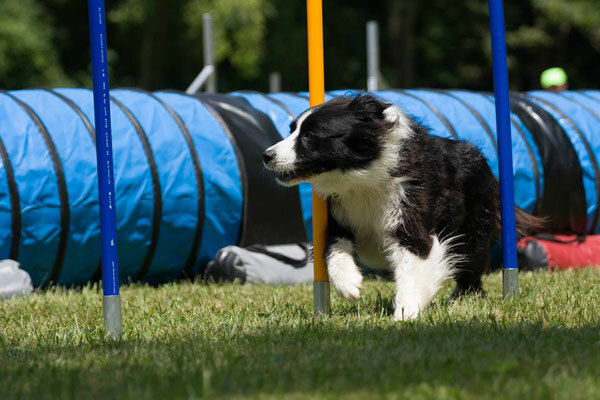 By Crazy I learned to know and love the wonderful sport Agility and I am now also infected with the Agility virus. 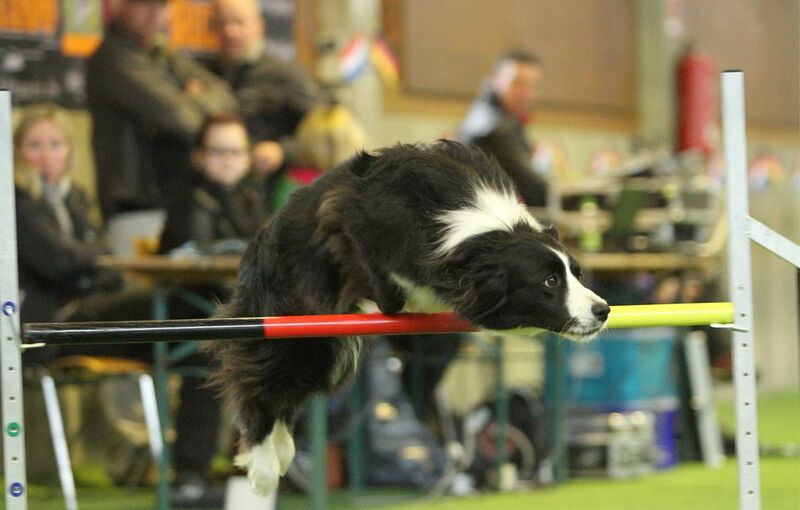 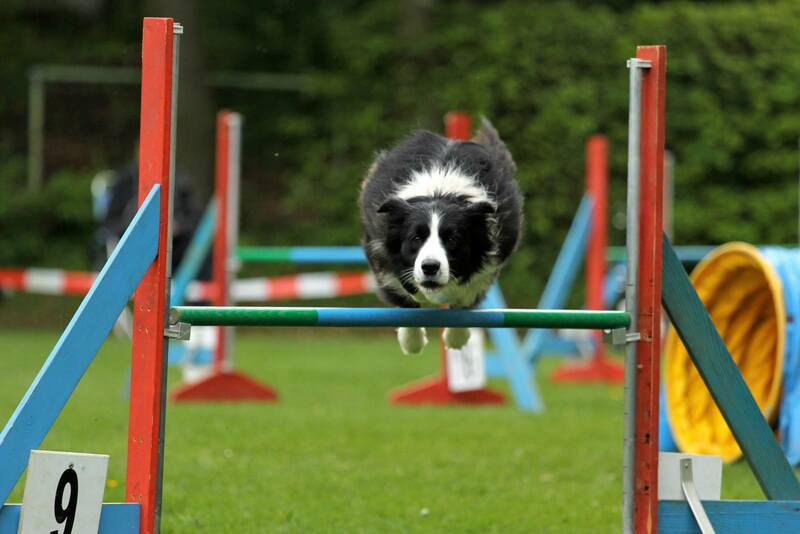 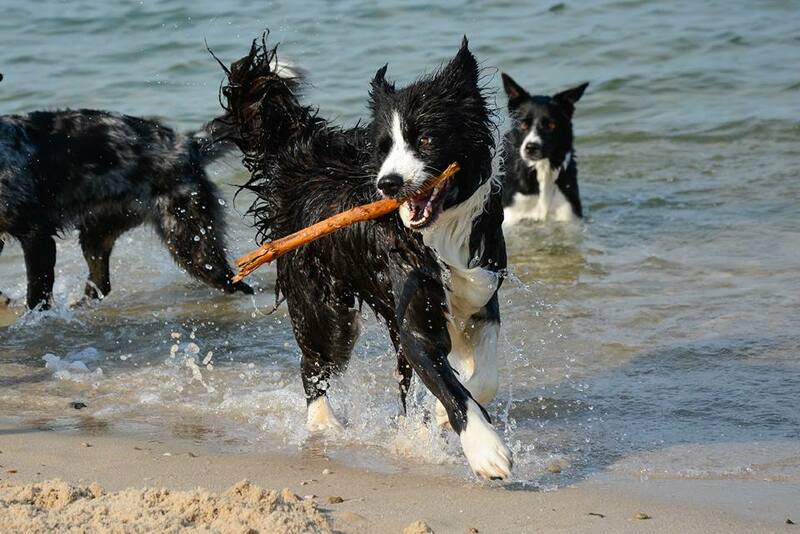 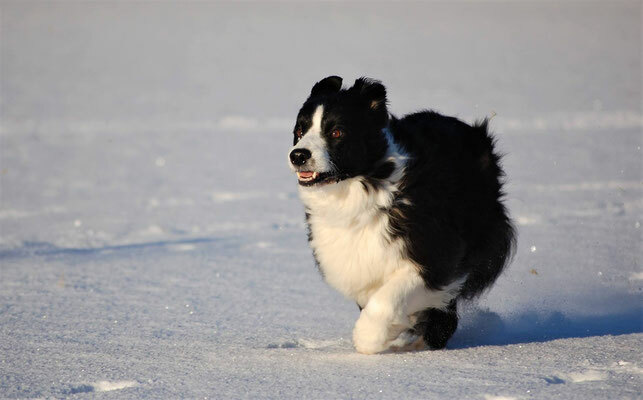 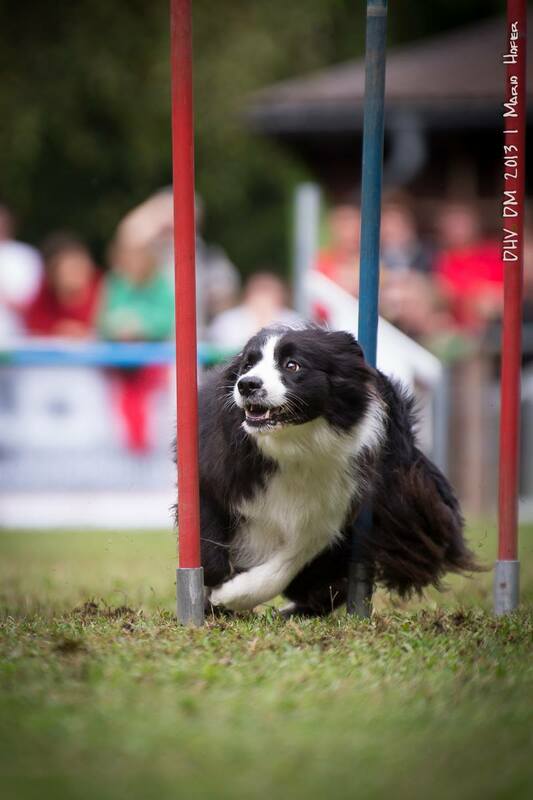 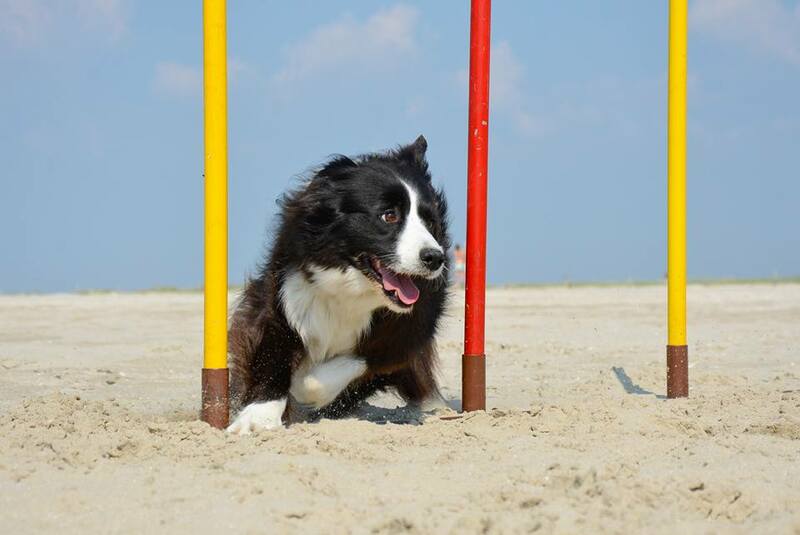 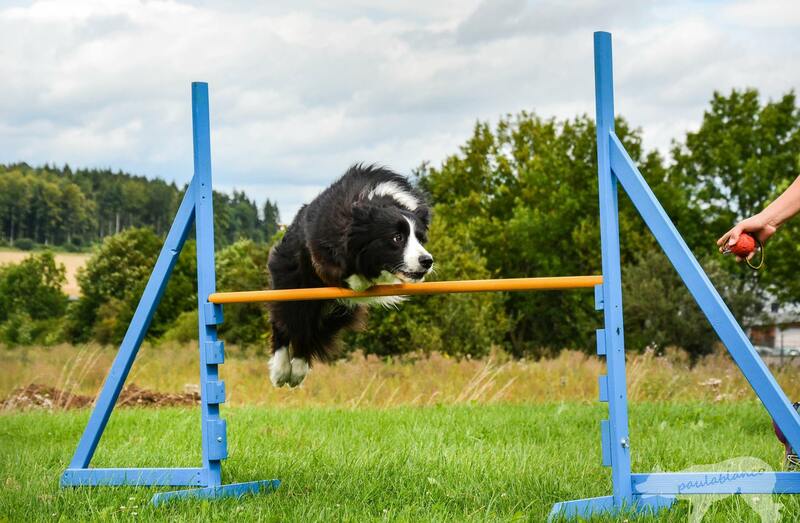 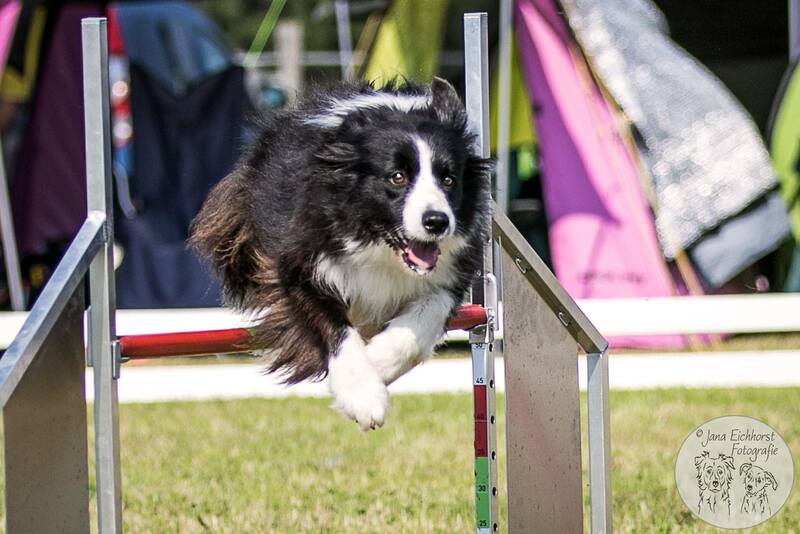 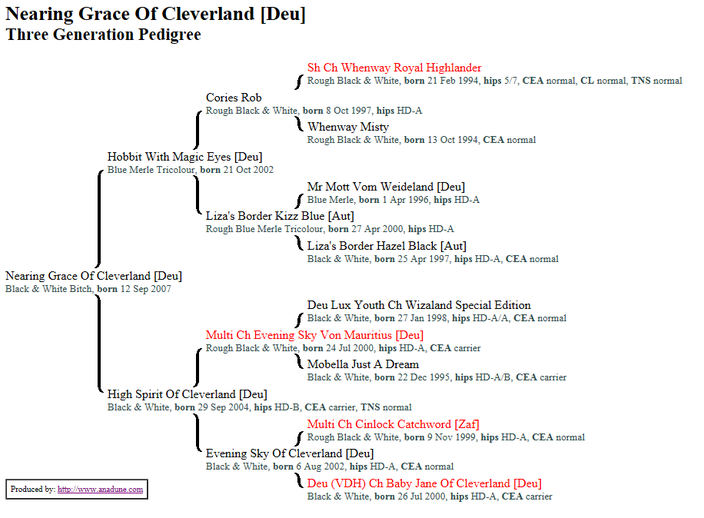 In tournaments Crazys abilities were always available so we could have greater success at championships in both, Turnierhundesport, as well as in Agility.